Xnt 9 28 t -2013 pmax tm moun Type: Single/dual beam, 28/16?, 200/455kHz w/ tempModel #: XNT 9 28 T..
Xpth 9 di t di inhull ducer 2 Type: Dual beam, 20/60?, 200/83kHz, w/ tempModel #: XPTH 9 DI T..
Xp 9 28 t 2013 pmax puck ducer Type: Single/dual beam, 28/16?, 200/455kHz w/ tempModel #: XP 9 28 T..
Xtm 9 28 t 2013 pmax trolling Type: Single/dual beam, 28/16?, 200/455kHz, w/ tempModel #: XTM 9 28 T..
Ms pm2 pmaz swivl base Model #: MS PM2Description: Swivel Base & Gimbal Mt. hardware - PirhanaMAX se..
Idmk pm2 pmax dash mount Model #: IDMK PM2Description: In Dash Mounting Kit - PiranhaMAX..
With a huge 10.4" diagonal full-color display you'll see everything you want whether it's a full scr..
Unit Dimensions: 5.25" W x 7.4" H x 4" DDisplay Size: 4" DiagonalDisplay Resolution: 320V x 240H pix..
Unit Dimensions: 5.25" W x 7.4" H x 4" DDisplay Size: 3.5" DiagonalDisplay Resolution: 320V x 240H p..
Down Imaging® lets you see what is happening directly below your boat. Timber, brush, bridge pilings.. This unit is the top of the line in the 500 series and sports features such as a high resolution 5" ..
Adstm7 trolling m0t0r adapter Model #: AD STM 7Description: Trolling Motor Transducer Adapter..
Trolling motor adapter for new Model #: AD XTM 9Description: Trolling Motor Adapter for XNT transduc..
As ec 20e ethernet cable Model #: AS EC 20 EDescription: Cable 20'..
Ethernet cable as ec 10e Model #: AS EC 10 EDescription: Cable 10'..
Ethernet cable as ec 2e Model #: AS EC 2 EDescription: Cable 2'..
Ethernet cable as ec qde Model #: AS EC QDMDescription: Adapter for 700 Series..
Ext cable 10' ec-w10 Model #: EC W10Description: Ext. 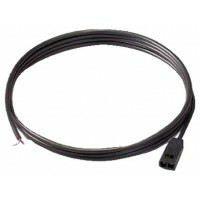 Cable 10' - 7 Pin..
Ext cable 30' ec-w30 Model #: EC W30Description: Ext. Cable 30' - 7 Pin..
Mcw mounting system cover Model #: MC WDescription: QD Mount Cover, protects connections..
Mhxxnt transom mounting hdwe Model #: MHX XNTDescription: Hardware for XNT transducer-with kick-up..
Ms-m mounting bracket Model #: MS MDescription: Quick Disconnect Mt. - Matrix & 500 Series..
Pc10 6' power cord Model #: PC 10Description: 6' Power Cable.. Speed sensor (sw) Model #: SWDescription: Speed Sensor, Transom Mount..
Xducer trol mtr mnt Type: Single/dual beam, 20/60?, 200/83kHz, w/ tempModel #: XTM 9 20 T..
Tsw water temp & speed gauge Model #: TS WDescription: Temp/Speed Sensor..
Xhs9-hdsi-180t transducer tm Type: HD Side Imaging, Dual Beam PLUS, 20/60/180?, 200/83/455/800kHzMod..
Xnt9-si180t side imaging xducr Type: Side Imaging, Dual Beam PLUS, 20/60/180?, 200/83/455kHzModel #:..
Xnt920 transducer trans mnt Type: Single/dual beam, 20/60?, 200/83kHzModel #: XNT 9 20..
Xnt920t dual beam Type: Single/dual beam, 20/60?, 200/83kHz w/ tempModel #: XNT 9 20 T..
Xp-9-20 xducer puck Type: Single/dual beam, 20/60?, 200/83kHzModel #: XP 9 20..
Xp920t xcucer puck w/temp Type: Single/dual beam, 20/60?, 200/83kHz w/ temp pigtailModel #: XP 9 20 ..
Xpth9-hdsi-180t hd side image Type: Model #: XPTH 9 HDSI 180 T..